Bowstring can be quite a hassle when it comes to picking the ones that best suits your hunting needs. It took me a great deal to actually get hold of what works. But after much testing and research, I was able to clear the path to get the best bow string. The truth is that they're so many factors you have to consider before choosing a bowstring. Part 2: What to Note ? A custom string is a high-quality bowstring specifically designed to meet different hunting needs. Let me explain: Unlike mass produced stock bowstrings, custom bow strings are made with the best bowstring materials available and are not susceptible to some of the effects that come with cheap alternatives. 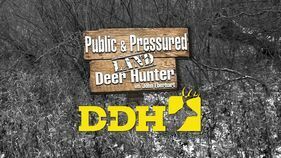 This makes it ideal for the best hunting and archery experience. Simply put, stock bowstrings are strings that come pre-installed from the factory when a bow is shipped out. These strings are mass produced, so there is no unique quality attached to the bowstrings. The features they provide are also of low quality and can make using the bow inconvenient. Beautiful! Now that you know the two types of archery bow strings on the market, it doesn't end there. Any bowstring that houses a BCY-X﻿ material is a top of the line bowstring you should buy. While this seems to be the latest addition to BCY materials, it is becoming widely accepted. Why is it widely accepted? The reason isn't farfetched. It is a well-balanced bowstring material that is durable, sturdy, and offers perfect speed at all times. While the BCY-X material seems to be durable, the 8190 material is the real deal when it comes to recurves and crossbows. The 8190 provides increased speed and enhancement in durability in comparison to the 452X. This bowstring material offers the best speed to users. Its durability has been improved with the addition of a gore fiber. The downside is that it will stretch when placed in heat. One fact remains true that this bowstring material has been used in making bowstrings for a long time. If you are looking for the most stable materials amongst others, then the 452X is the winner. The drawback to this bowstring material is the fraying of the material. To solve this challenge, gore fiber was introduced to improve its durability, but this has been noticed to affect the stability. 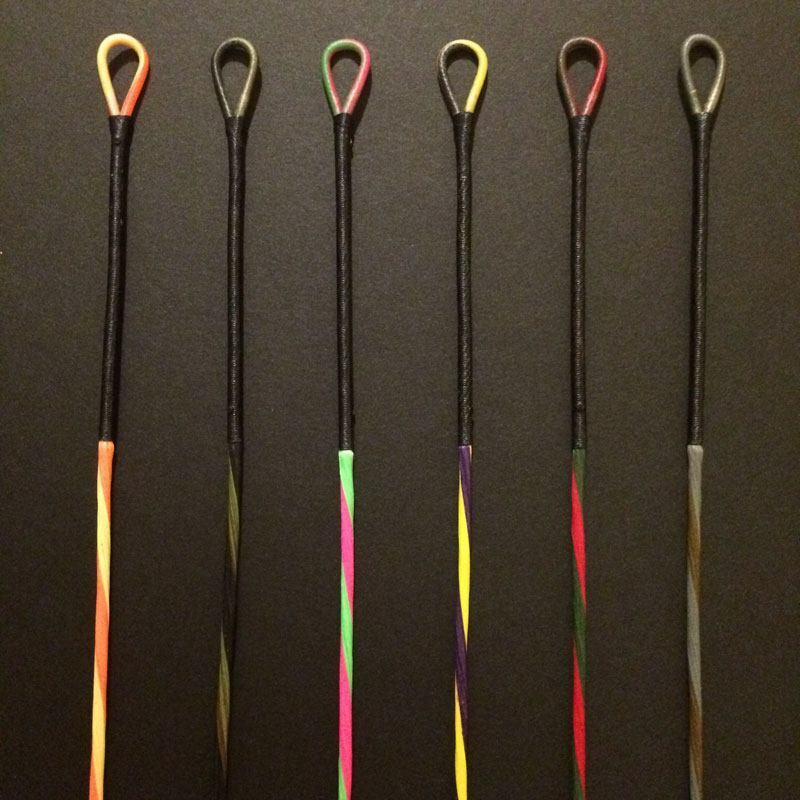 Colors are features which can only be customized by buying a new set of bowstrings. But I am sorry to say that stock bowstrings do not come in a variety of colors. It simply means you are not going to get a personal feel from the bow. But using custom bowstrings allow you to customize the color to suit your preferences and provide a personal touch to the bow. Here are a few things you need to know about a bow’s length. 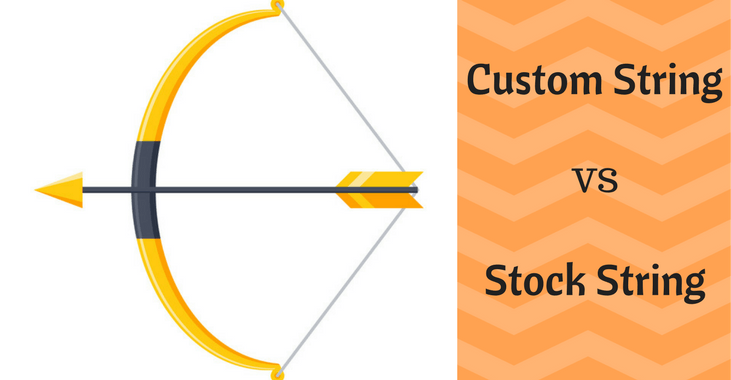 AMO stands for Archery Manufacturers and Merchants Organization, and they are in charge of creating standards for bow lengths. This is the total length of an unstrung bowstring. But how do you find the length of a bowstring? To find the length of a bowstring, you can choose to manually measure the distance or determine the length from the AMO length. For compound bows, the actual bowstring length is usually indicated on the bow. But, if you want to measure it manually, you will need a tape to measure the AMO length (from one bow tip to the next one) and subtract the necessary values. Your issue is half solved if you already have a string in your bow. All that is left is to take the measurement of the string from one end to another. But if you don’t have access to any string to measure, there are numerous steps that can be taken to determine the appropriate size of bowstring you would require. Note that the numbers on all bows are not always precise and as such the numbers stated there might not cover all as regards measurement. 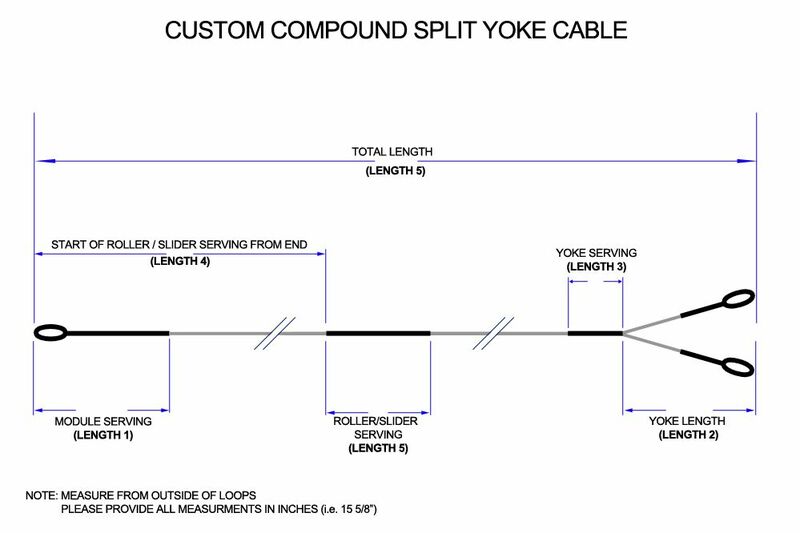 Hoyt bow factory numbers, for example, does not show the length of the yoke but shows that of the cable. The best alternative you can take is to reach out to the manufacturer of the bow to determine the bowstring size you need. This information can often be gotten from the tech support of the company. Peradventure the company responsible for manufacturing your bow has been shut down, the owner’s manual can sometimes be found online. You may also reach to an expert at a sporting goods shop who can assist you in determining the appropriate length of the string. Another alternative is to put the bow in a press and make a mock thread using a fishing line. This would aid you in determining the string size you need. You can also measure from one string groove to the next along the bow limbs. Make sure you don’t bend the tape into the handle curves. It must be straight across the face to get the bowstring length. The number of strands plays a crucial role in the use of the bowstring. It is true that the lower number of strands, the faster the arrow, but don't be carried away. A lot of manufacturers put specifications on the number of strands that you can use on a bowstring. This is because reducing the number of strands can also have other effects. It may affect the tuning of the bow, and it may even cause more vibration as the strands usually absorb some of the energy. Below are some of the recommended strand numbers of different masses. There are two types of strings set. String/ cable sets have a long bowstring which may measure up to 90” and one buss cable. Also, the two cam strings (dual cam) have strings which are shorter, below 55”, and make use of two buss cables. One essential thing to always take note of when selecting a new string is to always use a reliable bow string wax to keep the string all-new. You also want to only use wax on the exposed string instead of the serving. Based on personal experience using different types of bowstrings, I have finally penned-down a handy list of the best bowstring that will give you the best hunting experience. One thing you need to know about the B-50 Dacron is that it uses A.M.O. Standards in the measurement of the bowstrings. 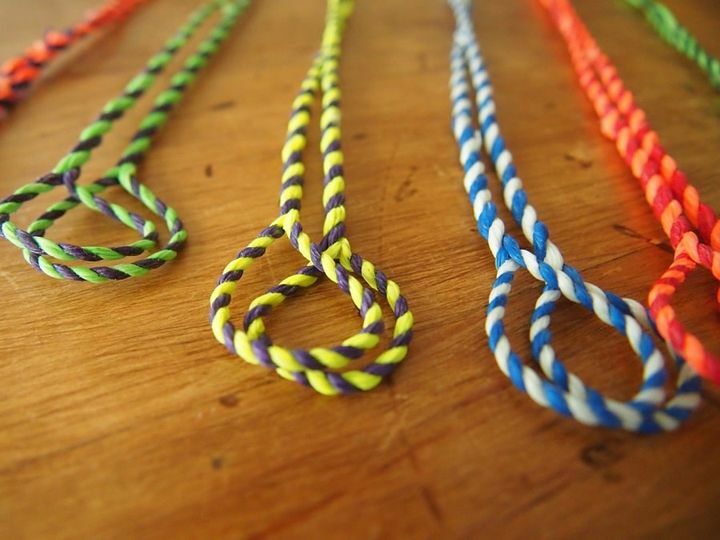 This means that there will be 4” less length of each string. To vary the length of the string, you can choose to twist it or untwist, which makes it unique to endless loop strings. The B-50 Dacron offers three strand numbers and also comes with 12, 14, and 16 strands for you to choose a string that suits the weight of the bow you are going to use. The sizes which you can get include 48, 50, 52, 54, 56, 58, 60, 62, 64, and 66, all in AMO standard. If you have a bow that weighs up to 40 pounds, you should consider getting the 12 strand string. For a bow of 50 pounds or below, the 14 strands are a good choice. The 16 strand string is your best option if your bow weighs about 65 pounds. The price of the strings is also quite affordable when compared to others in this category. There is usually a difference between the length indicated on the package and the actual length of the spring. For the best thickness, the Flemish Fast Flight Plus bowstrings are constructed using 18 strands separated into 3 bundles. The strands come in multiple colors of black and bronze. The only major problem of this bowstring is the compatibility issues. It does not work on every bow. 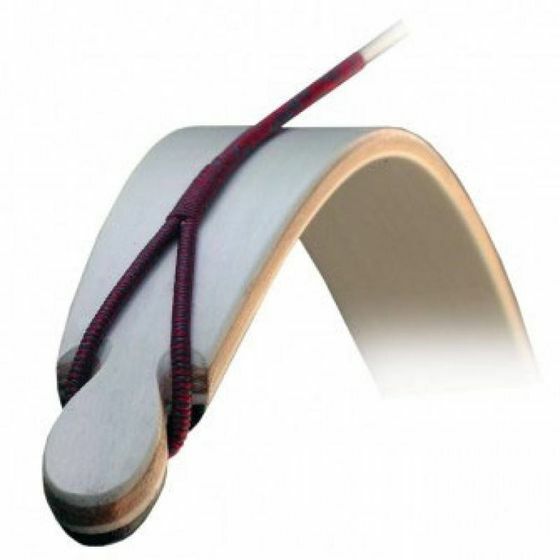 The best type of bows that can make use of this string are those who work conveniently with low stretching strings and are specially designed for high-performance purposes. The serving area does not clip all arrows properly due to thinness. 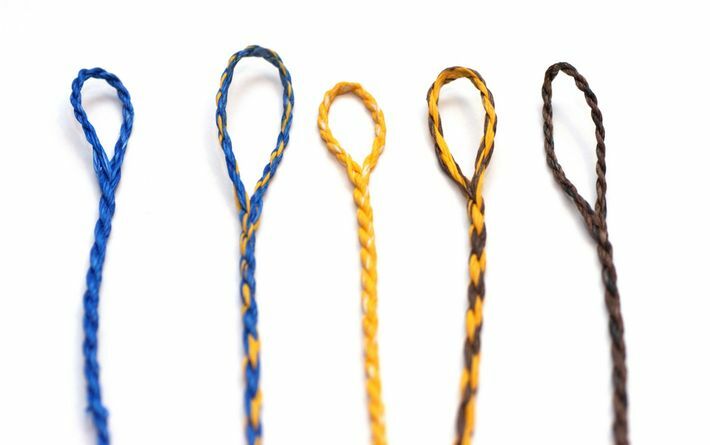 These bowstrings come with a various number of strands to function for different weight of the bow. It is suitable for bows which weigh between 24 – 45 pounds. The 14 strand version of the strings can work with bows ranging from 24 – 40 pounds while the bowstring of 16 strands works well for bows weighing up to 45 pounds. With an easily adjustable brace height and pre-twisting on each string, this is a great option. However, if you compare it to the B-50 Dacron, this is more expensive to purchase. The Ace Martial Art Supply crossbow offers an 80 lb mini crossbow prod coupled with two tips that have a black plastic. Compared to a 50 lb prod, this bowstring comes with stronger and thicker strands to allow the string to hang on to the bow. Apart from the fact that it is cheap, judging from my personal experience, this bow is stable and reliable. However, its drawback is that it has a high chance of fraying in due time. Apart from that, I don't see this as a deal breaker. I’ll gladly recommend this brand to anyone that has a pistol type crossbow. If you are looking for some of the best bowstrings on the market, then you may want to look at the above products. Based on my experience using bows, I’m confident that you are going to get the most using these bowstrings. But, if I should choose a clear winner among this roundup, I will go with the B-50 Dacron. This product takes the spot as the champion because it offers users with different selections of strand thickness to suit the various weights of the bows. As if that isn't enough, the B-50 Dacron features a lot of options for the length of strings available. In the area of price, the B-50 Dacron is quite affordable compared to other strings on the market. If the B-50 Dacron fits your style and looks like what you are looking for, then we recommend you give it a try. If it doesn't, take a closer at other products on this list that falls into what you want. Please let us know in the comment down below if you have any questions, suggestions or concerns as regards these products. We will be happy to hear what you have to say about the best bow string of 2017.